In short Google+ or Google plus is just another social networking site given birth by Google itself. Mainly its instruments and characteristics come from some very popular and used services and platform, for example, the Picasa photo storing and sharing platform. Even some of its attributes match with some other popular social network and microblogging platforms. When first Google + was introduced to the audience it just invited a handful of its initial users to create a small group of their contacts, since then Google permitted the grant to open the services to everyone. Nevertheless, Google tried its best way method out to create it in a creative manner by including many desirable features to it. Circles – It’s a class for your wide connections, so you may start sharing with different groups you may choose to share your things. Hangouts – This whole thing gives you an amazing option to video chat with 10 people at any given time. Huddles – This is a casual option for texting any group or chats. Instant upload – It is a unique option where you can automatically send recently clicked photos and videos with your handset to a private photo album of Google+ and then later you can decide if to share or not. Streams – This will definitely notify you about other updates of different groups at a time. Sparks – These include the topics that you want to converse with others. You may know it better if you are a user or if you are willing to use it. Here it ends with the interesting attributes which contribute Google to be a unique social network. Google + is a really big platform for every business to use it. If you are also into some kind of business you should definitely look into its usefulness. If you are an online marketer do look into these options. If you take your business to your Google + platform you would definitely earn online traffic. Authorship- This is actually the method of let knowing Google + about your product on your website. If you are new or using it already if you notice little profile images showing next to search results, then be sure you have been successful in authorship linking. Show Google that your brand is legitimate- if you are once able to hit a good amount of followers on your Google business page, you can apply to Google to be verified by it. Therefore, if you gain a tick of approval from Google+ that means you are verified from Google, which can change the algorithm that may be coming your way. You may also build an audience for your Business page from Google+. If you are into any business don’t forget to give Google + to give it a hit to grow your profit and business. Though in recent months, Google has faced a great blow to its social network the reasons conversed has been roughly controversial. The reasons discussed in the primary stages included the great data exposure noticed and reported by THE WALL STREET JOURNAL. Nevertheless, Google itself admitted to the fact that it never received broad adaptation or engagement that they thought for. Going by one of the blog posts it was discovered that 90percent of Google’s user sessions lasted only for five seconds. Hence the newly discovered security concerns have to lead to the closure of Google + in recent days. Google is a very big platform in every possible case, it avoided revealing the fact about how their data was leaked to also avoid public relation headache. The fact was not unknown to us for a very long period of time, because Google themselves took the decision to make known to all of us. The greatest blow was then discovered when it discovered an error in the API for it had been constantly letting the third-party app developers approach the data not just for customers who had permitted the consent but also their friends. It matches with the scene which took place for Mark Zuckerberg which dragged him in front of the US Congress. Due to this unavoidable problem, Google decided to close down its Google+ for consumer’s approach and also gave its promise to improve security and privacy protection for the third party application. It too had some bad effects, the Google talked about its data leak, in a recent blog post stating that it potentially affected 500,000 accounts. Around 438 different third-party applications may have had an approach to personal information due to this error. Nevertheless, they did not find any kind of clue or proof that any developer was at all alert or aware about this factor mishandling the API, and also they did not found any confirmation about any profile data being exploited or any data was stolen. If you are already using Google + you would preferably know about the “ABOUT ME” page which you can use to for your own privacy settings, this page enables you to decide which piece of information is your personal one , which is for your “circles “and which is for you’re the large customized users. As for the outcome, different people are allowed to see different pieces of data which you allow them to see. 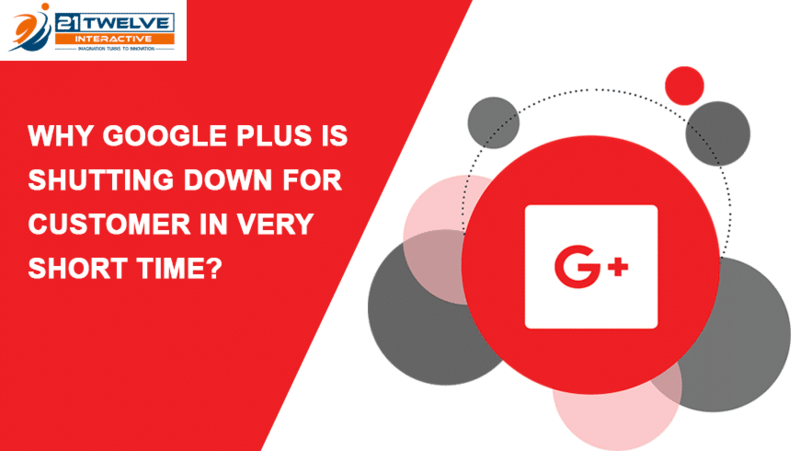 The chaos arises or takes place when a person who is able to see a lot about you installs a third party Google plus app, which by default sees who the other Google plus users in your friend circles are. That’s not abnormal. The faulty thing happened went the API went further – it literally let the third party app see every possible thing about you. This is the thing which was not supposed to happen at all. For example, if you choose to keep your educational qualification only to your “circle” members and one of your friend installs the third party app. Apparently, you don’t use this app, or even never heard about it, but just someone had installed that specific app from your Circles, it can see your piece of information that you do not choose to make public, like your educational qualification. After this major disaster, Google did take some measures to prevent such situation in near future. It took series of refines to its personal strategy especially sketched to give the customers command on the total data they share with third-party app developers. The users will now be able to have more refined control over diverse strands of their Google accounts that they allow a permit for the third party. They also will limit the entry of third-party into an email, SMS, contacts, and phone logs. Though after all this massacre Google+ still remains the best social network for sharing pictures, photos and videos. There’s something new to it, Google+ app is also available for cell phones for Android, with IOS. With the help of this app, you are able to share your pictures automatically; this will be stored privately till you decide to share them. This way, it still remains the best sharing app till date. Though Google has taken its drastic step to close down Google + for the consumers, it will remain the same for enterprise or business customers. They took the decision of making it an internal social network for only companies, rather than any consumer product. Google will in near future announce new enterprise-focused products for Google +. Indeed Google has taken their necessary steps, you still need to be careful about your own account security. This way you can also increase your account security, do follow the following rules. Turn on the screen locks. Go carefully through everything and if you notice that your browser or apps are out of date, do update them immediately. You need to keep your software updated to protect it from hackers. Do not use the same password for every site; carefully make your password strong because if one hacked your account they will get access to your multiple sites. Help protect your password from hackers. Step 4- Remove apps &browser extension you don’t need. If more apps are installed your device can be exceptionally weak, do install only essential apps and browser extensions on a device that have access to sensitive information. Delete or disable apps on Android devices. Do not always believe on every email, texts or any kind of messages you are sent, do verify it before you are sharing anything confidential because hackers can also text in form of these mediums. We should abandon the thought that Google plus is deceased, it may have faced and gone through a lot from its launch it will or already has turned to a great platform form businesses, it creates a huge level of opportunities for the business class such that they are able to share their content with highly targeted groups. The things you ought to do will definitely drive you back to Google page and website. If you are ever dubious about Google+ detect your activities and then re-evaluate it after a couple of months. Input the full URL of your website and give a hit to the “Save” button. This will make it obvious that your website is already verified from Google. Click on the “Link Website” button which appears. Therefore, your account now will be now linked to your Google + account. Choose an accessible Gmail account – Avoid using your personal Gmails, and create a new Gmail for your business, which can be accessible for your marketing members too. Customize your public profile- It includes your tagline and an image to it. Promote your page- You should promote your own business page as much as possible. Now you have to just go on! The above written article will make you aware and in short gives you a perception about the reasons why Google + took its drastic decision to shut down its access for the consumers use. More than using Google+ as a mere social network business aspiring people can use it as a very big platform to promote its product and their website. You may also use it as any consumer, as this platform showcases its skills regarding its unique sharing option. So, all the people out there who are aspiring to be an online marketer do not waste your valuable time and work for your dream, which Google + can help you to make it really big. You may need to struggle at first but soon you will realize its good side. So work towards your success, and make your dream come true. What is the growing trend of mobile app development in branding?